The Driskill Hotel consists of an original 4-story hotel and a hotel addition of a 12-story hotel tower building with a combined total of 189 guestrooms. The original building, referred to as the Historic Building, was constructed around 1885 and 1886 and opened in December 1886. The Tower Building (also known as the Traditional Building) was reported to have been completed about 1929. The Historic Building contains 79 guestrooms and the Tower Building contains 110 rooms. The hotel site consists of 0.843 acres and the building is reported to contain 184,734 gross square feet. The original Historical Building contains floors referred to as the Grand Lobby (first floor), the Mezzanine (second floor), Fourth Floor (third floor, no designated Floor 3), and Fifth Floor (fourth floor). The Tower Building consists of a basement level, Upper Lobby (first floor), the Mezzanine (second floor), Floors 3 to 12, and a Penthouse Level. The hotel includes a number of amenities including: about 18,000 square feet of meeting space and ballrooms; three food and beverage outlets located at the Lobby Level including The Driskill Grill, the Driskill Bar, and the 1886 Café & Bakery. Other amenities include 24 hour room service; Health Club including fitness center, locker rooms with steam rooms, and private massage rooms; business center; and valet parking. 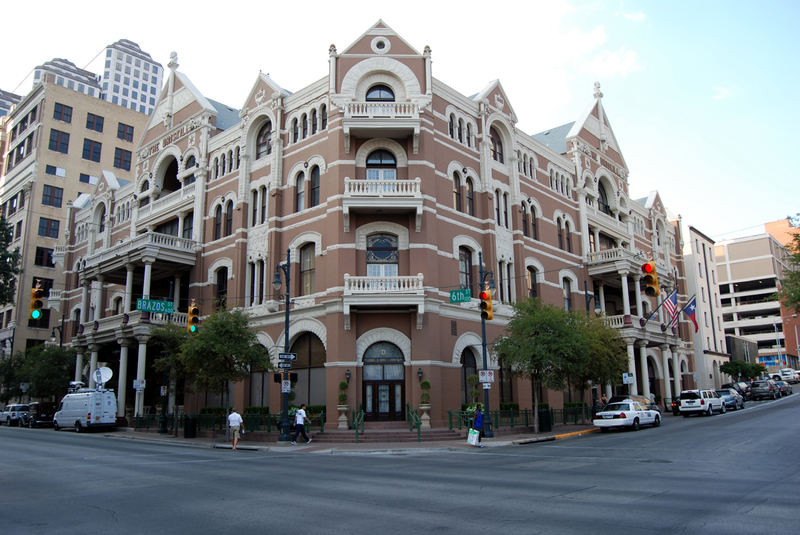 The Driskill Hotel has been renovated numerous times. A 2000 to 2002 renovation included replacing a number of the hotel HVAC systems. The exterior walls and roof systems were renovated in 2008 and 2005 respectively. Renovations to the public and meeting spaces have been completed since 2005 and a guestroom renovation program was completed in 2008. PR&A completed a property condition assessment on the subject property.